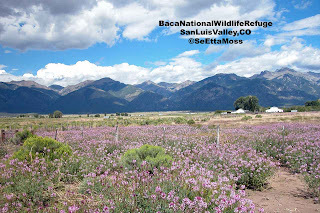 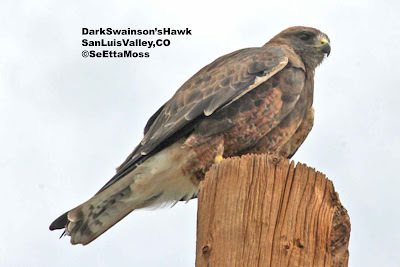 One last post on the Baca NWR in the San Luis Valley because it provides very important habitat for birds, fish and mammals. 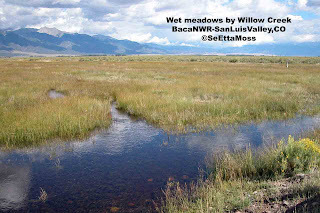 The top pic shows the some of the refuge's wet meadows, these in the Willow Creek watershed. 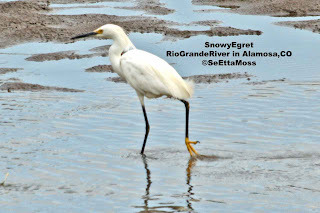 Wet meadows are used by amphibians including northern leopard frog and many bird including waterfowl, Sora and Virginia Rail, and several waterbirds that migrate nest or migrate through the San Luis Valley including Sandhill Cranes.